Aaaaaaaaaaaaaaaaaaaaaaaaaaargh it’s the new year and if, like me, you struggle with the month of January with all the cold, dark, grey days that make it the longest month ever, never mind the pressure to hit the ground running, fulfil all your new year’s resolutions – be a better person, exercise more, eat and drink less of the wrong stuff and more of the right stuff blah blah blah….well this one is for you. Do not underestimate the power of colour to lift your mood, so if you wear lots of black and dark colours, maybe it is time to re-think and get a bit more lightness in your life. Who knows it might just help you navigate your way through the next few weeks. You’re bound to be wearing a coat for at least another three months so break away from the darkness and go for something lighter. 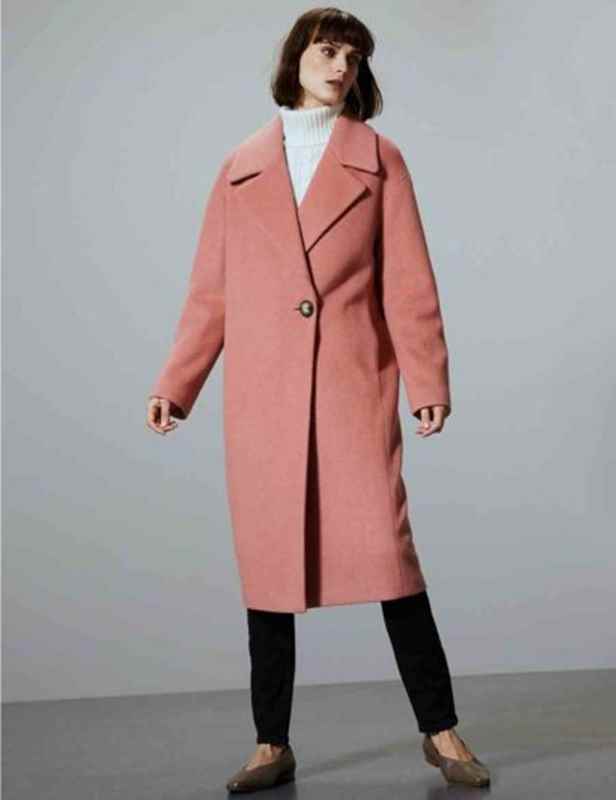 If you are firmly wedded to your neutrals then just swap the black or navy for a stone like this Double Face Wool Coat £275 from Jigsaw. 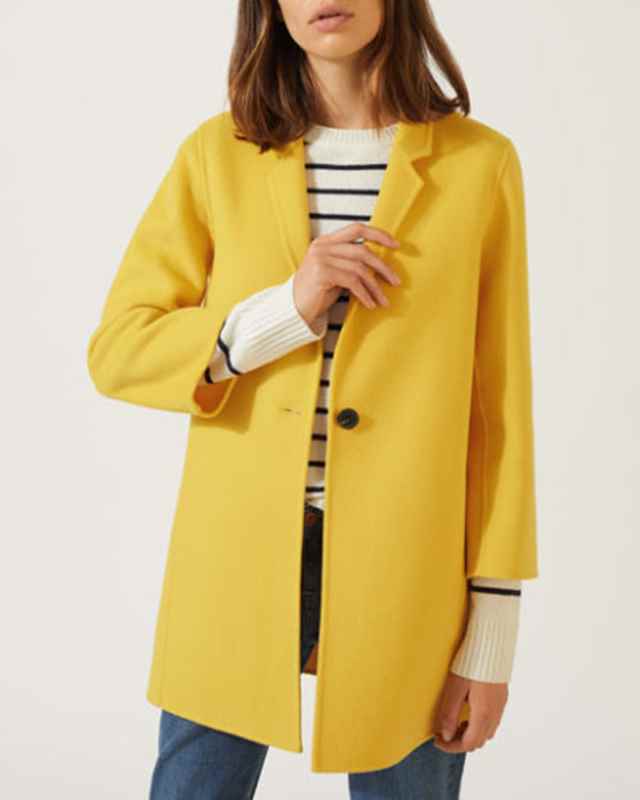 But if you really want to put a smile on your face go for something yellow like this Double Face One Button Coat £240 from Jigsaw. It does also come in a light blue if the yellow is too much. 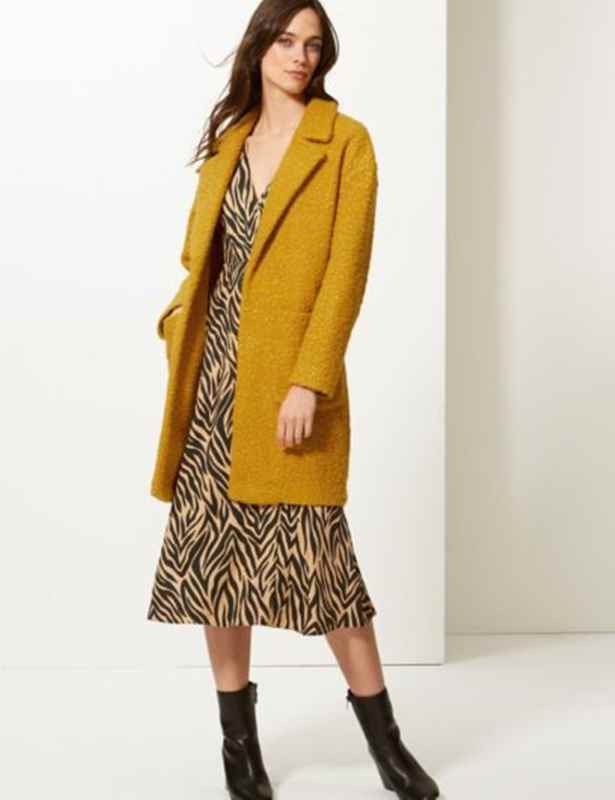 Or there is also this boucle number which is a Holly Must Have: Lightweight Textured Open Front Coat £49.50. They call it terracotta but it is most definitely a dusky pink. Although it is out of stock in 10, 12 and 14 on their website, there is a lot of store stock from when I have been out and about. It does also come in honey too. 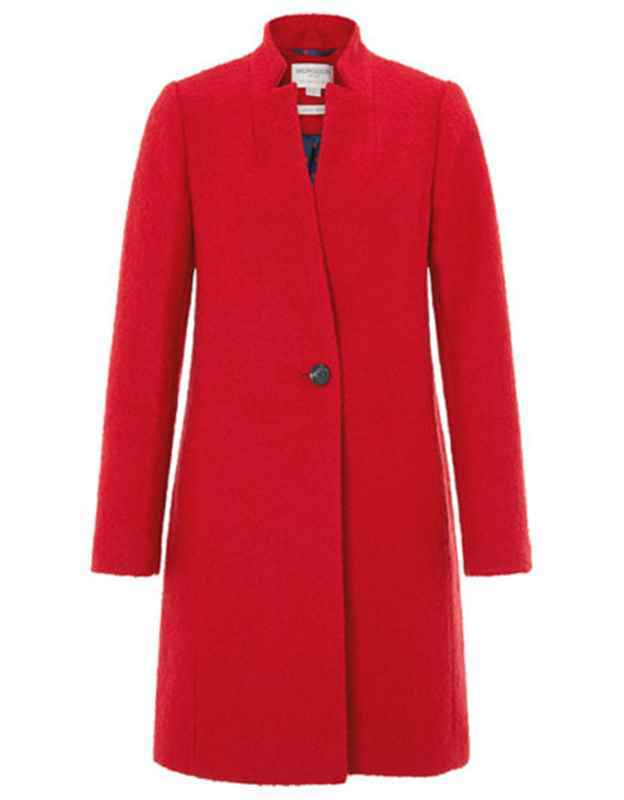 Or make a statement in red with Monsoon’s Jenny Boucle Coat £120. The other winter staple is warm knitwear and the same principle applies here so try to add in some lightness and/or colour. Or this Textured Weave Cape Style Sweater £79.95. Love the styling here with the skirt and long boots – this is a great look for work. 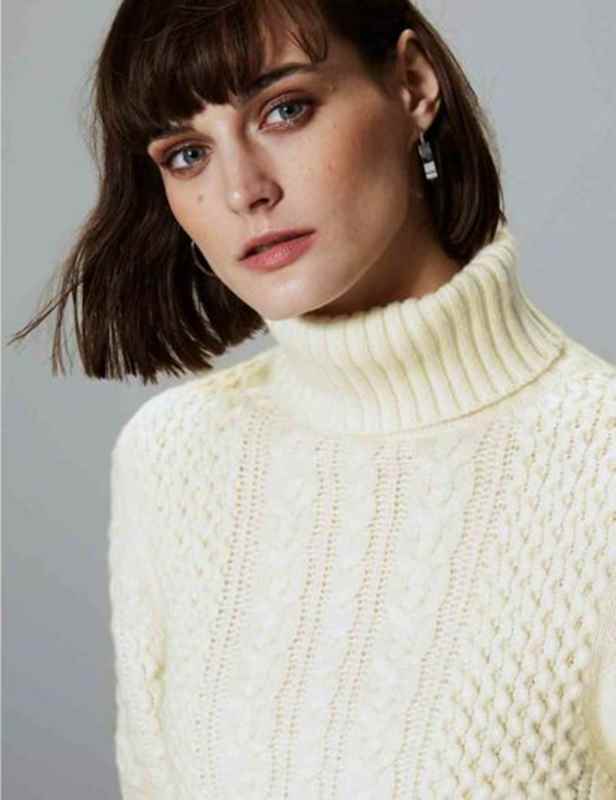 And if the chunky knit feels too casual then swap for a finer gauge roll neck. 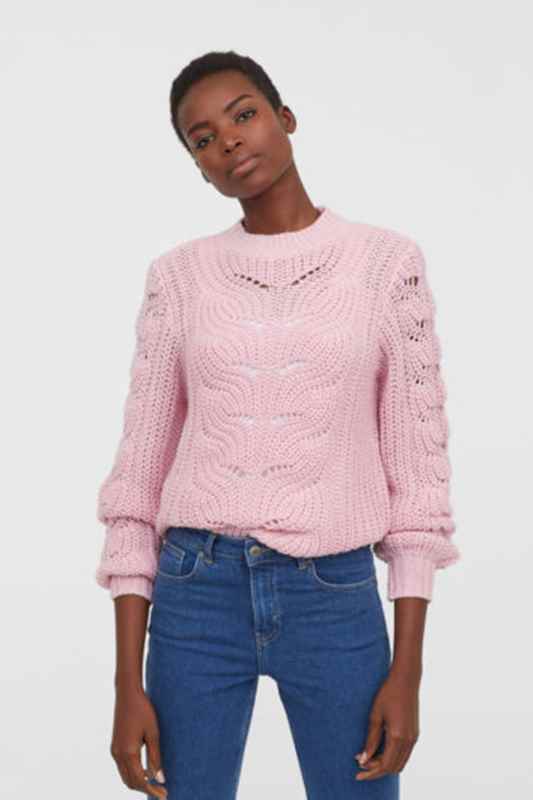 H&M’s Cable Knit Jumper £29.99 is also lovely and comes in a very nice shade of pink too. 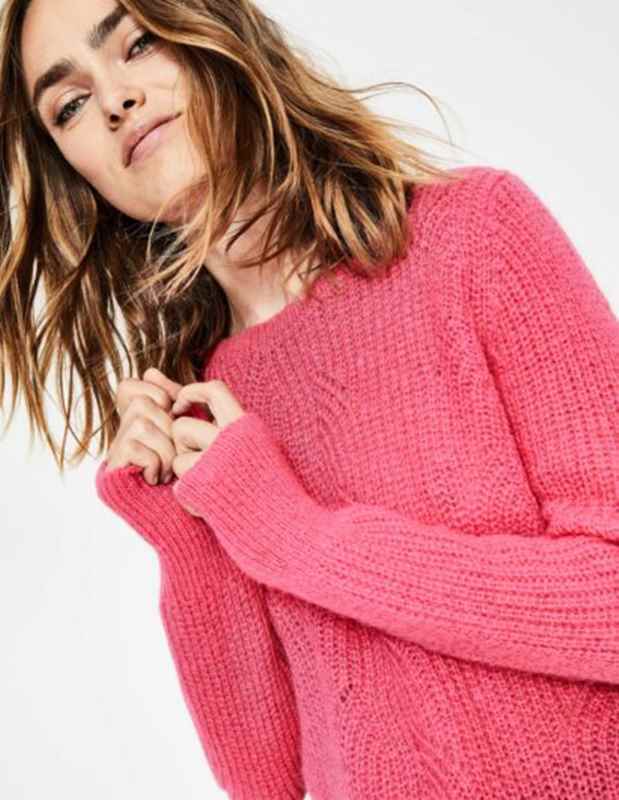 Boden’s Hadley Jumper £80 is another goodie which comes in winter white, pink and yellow – all of which are lovely. All three maybe?! So a Happy New Year to everyone – here’s to a great 2019! And in the meantime, while I ease myself in, I’m going to dress myself happy. Why not give it a go, you’ve got nothing to lose.